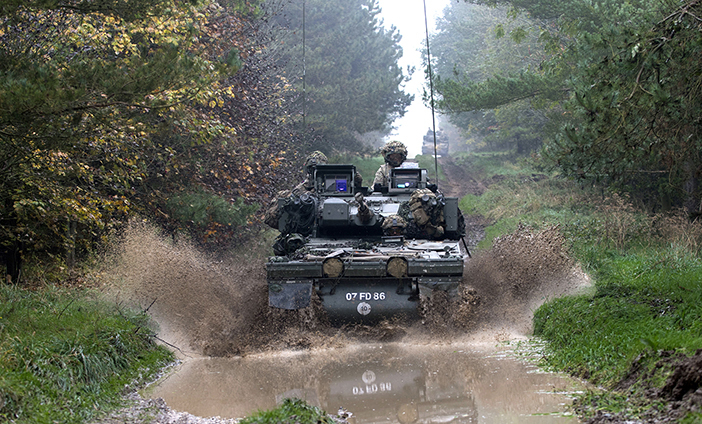 "As a Household Cavalry Officer, you may well get to wear a gleaming uniform and ride a horse on state occasion, you'll also learn how to lead a four vehicle troop of AJAX fighting vehicles." Officers in the Household Cavalry lead four-strong units of Scimitar armoured vehicles an operations. They scout ahead of the front line, gathering information and carrying out fast attacks. They also spend time stationed with the Household Cavalry Mounted Regiment in central London, carrying out public duties and performing at high-profile events. Wherever you are, you'll be leading a team of highly-trained soldiers and helping them maintain the highest standards in everything they do. QUALIFICATIONS: 72 UCAS points and 35 ALIS points at GCSE, (including a minimum grade C/4 in English, Maths and a science or foreign language). “Some people think the Household Cavalry is just about ceremonial work, but we are soldiers above all. Proving myself on the battlefield has given me greater confidence, and I’m certainly more decisive now. In combat, you've got to make split-second decisions, but I also enjoy being the public face of the Army. It’s definitely a career with prestige. I originally trained on the Scimitar reconnaissance vehicle but I am looking forward to the imminent arrival of the AJAX."